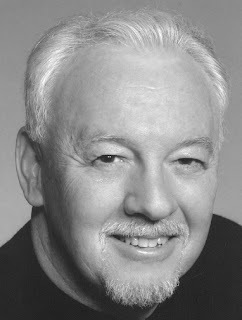 Tony Dillon made his Seattle Opera debut in 2007 in the double roles of Benoit, the Bohemians’ foolish landlord, and Alcindoro, Musetta’s elderly admirer—the two La Bohème characters who have nothing to do with tragedy. 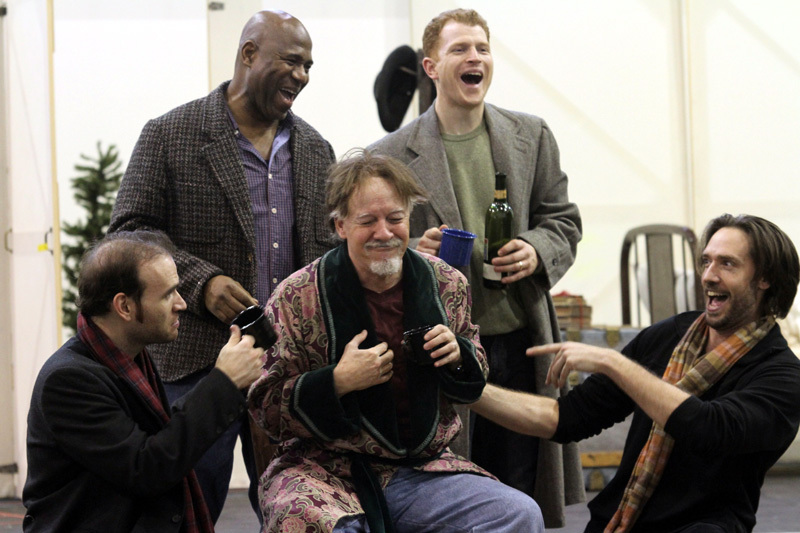 Dillon returns for these roles in this season’s La Bohème. 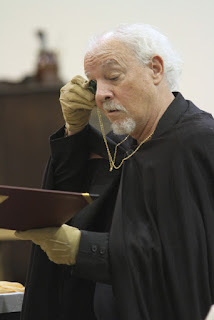 The other day he told me a little bit about what’s different this time, about working hard and having fun in this opera, and about the nearly 100 performances he’s wracked up of Puccini’s masterpiece. Welcome back to Seattle Opera, Tony! La Bohème is an opera every opera fan has experienced, probably many more times than once, but it doesn’t seem to get old. Why not? 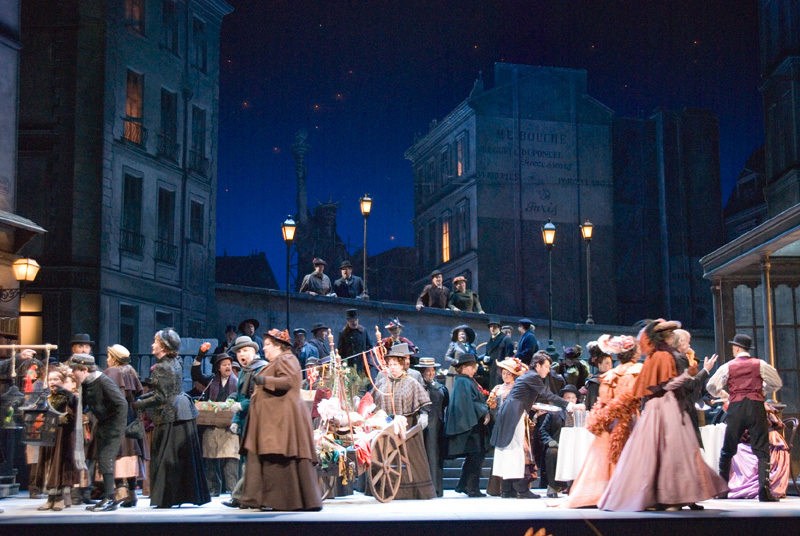 What is the astonishing appeal of La Bohème ? It pulls on everybody’s heart-strings, no matter how many times you’ve seen it, no matter how many times you’ve done it. As soon as you hear those chords, in the last act, the tears start up. And for me, it’s lots of fun. Right, for you it isn’t a tear-jerker, it’s a comedy. For both your parts. Each night you’re all hoping, somehow, that she’ll pull through. Speaking of how this opera is different each time, you sang Alcindoro and Benoit in Seattle the last time we did Bohème, in ’07. What’s different now? For one thing, we don’t have this huge long staircase coming down in Act Two. Carrying all those boxes, I was always terrified I was going to fall down the stairs. A different conductor gives the show a different life. Carlo [Montanaro]’s tempos are a bit crisper. He knows exactly what he wants. And we’re all pliable. Do you go into it each time with the same basic understanding of the characters, or does that change? The background of the characters stays the same. Whether you play them more forceful, more buffo, stupider, more normal is all up to the director, and it can take on many different shades and colors. Now, the two characters you play are somewhat ridiculous in this opera. Is your job to make them rich, complex human beings—or to be a buffoon? Generally, my job is to portray them as they are written. It just so happens, with these characters, that they are buffoons. You gotta live in the moment and keep everything believable. And you gotta play off the boys, ‘cause they’re bouncing you all over the stage. ...and I’m no match for Musetta, in Act Two. She just abuses the bejeevus out of me. I suppose there isn’t really a way to play Alcindoro with any real dignity. I’ve played him where he’s really obnoxiously virile, you know, hale and hearty. In which case she can’t wait to be rid of him, and you fall off that horse and are left with—here he’s left with a dog, and the bill. Musetta makes an excellent pair of cuff links. She’s pretty on the arm, and he’s getting what he’s paying for. This particularly night, he ends up paying a bit extra! So you mention working with a director to create a specific inflection of the character. Is there anything in particular Tomer Zvulun has given you here? There are a few things, Benoit will be insufferably human. In fact we’re working our butts off out there in that scene...I hope we get a laugh when he’s thrown offstage. Oh, you’re right, that’s out of Monty Python! I wonder if that's why everyone always laughs there. Changing the subject a bit, Tony, where is home? Home for me now is Clearwater, Florida. And I have a place in Illinois. The rest of the time, I’m living out of a suitcase. Has Seattle changed much since you were last here in 2007? The amount of construction! It’s everywhere. And people. It’s a busier place. This street out here, by the rehearsal hall [in South Lake Union], I remember from six years ago it was all mud. Seems like it’s still under the very same construction it was then. I wouldn’t want to drive around here! I’m still learning my bearings in this neighborhood because things look so different. The neighborhood near the theater, that hasn’t changed much. 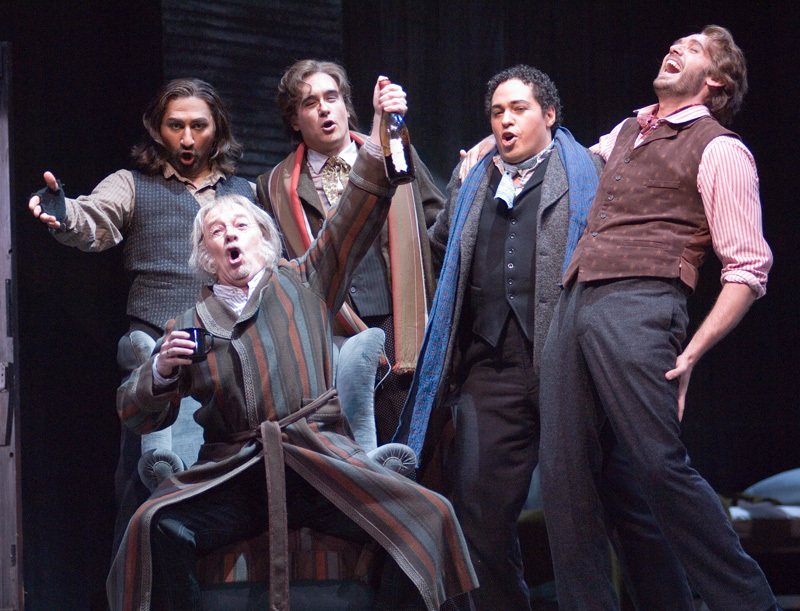 Do you have a favorite moment in La Bohème, whether to perform yourself, or to watch? My favorite musical phrase is Mimì in the last act, when she sings “Sono andati? Fingevo di dormire,” [sings], just because the music always rips my heart out. That’s the part where you cry. You can’t not. That whole phrase, and then, “Buon giorno, Marcello...Schaunard, Colline, buon giorno.” That’s my favorite music. It’s not my line; I’m not even usually still in the theater at that point! A couple times, and I’ve also sung Marcello. No, 80-some just as Benoit and Alcindoro. Wow, so those Colline and Marcellos were bonus. Adding them, have you got to 100? Not just yet. As a side-note, years ago when we first moved to New York, we had two cats. One of them was named “Marcello Finalmente,” what Rodolfo sings in Act 3, and the other was “Eddie Pensier” [sings the cadenza ending “La donna è mobile,” to the words “e di pensier!”] Marcello and Eddie. I hear you’re going in now to dog auditions, to determine which dog you’re going to be lugging around as Alcindoro. Yes, dog-staging rehearsals. We’ve already worked in the juggler and the stilt-walker. It’s going to be quite an Act Two!